Marin county’s not so hidden gem, the Dipsea trail spans from Mill Valley to Stinson Beach and gains 2200′ of elevation over roughly seven miles. Between its gut-wrenching climbs and free-wheeling descents, the Dipsea traverses through the majestic Muir Woods and acres of old-growth Redwoods. 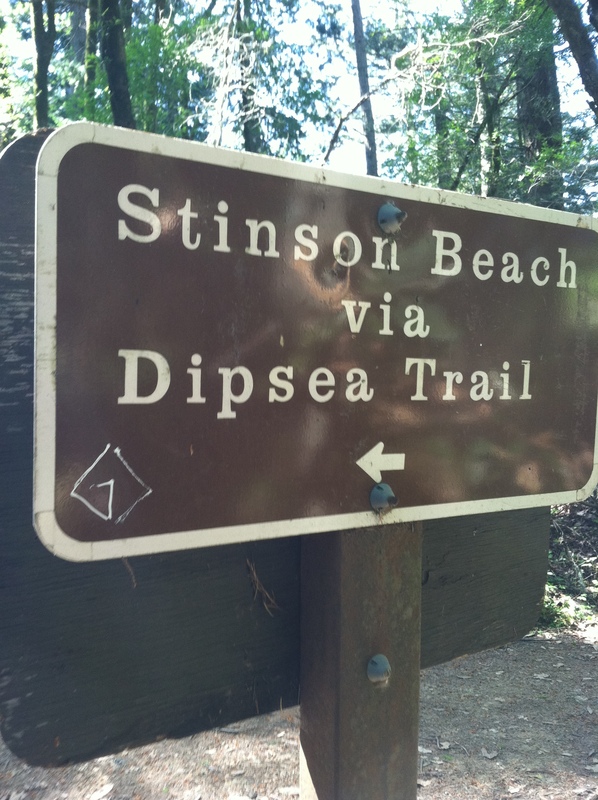 For most, runs on the Dipsea trail are actually glorified hikes – the gradients from Stinson Beach and Mill Valley are substantial, but the middle three miles in either direction provide flat stretches and iconic views of the Farallones, San Francisco, and Marin county’s pristine ridge-lines. Without traffic, it’s possible to make it to the trailhead in less than twenty minutes from downtown San Francisco. When I worked east coast hours (6AM-2PM), the Miwok trail was my go-to trail for late afternoon runs. Traffic permitting, I could make it there in under twenty minutes, and was rewarded with extremely challenging ascents and wide open fire roads. I often pick up the Bobcat trail at the summit for a difficult 10K where almost all of the climbing comes in the first two miles. I accidentally stumbled upon the Presidio Coastal trail on my first trip to San Francisco in 2009. 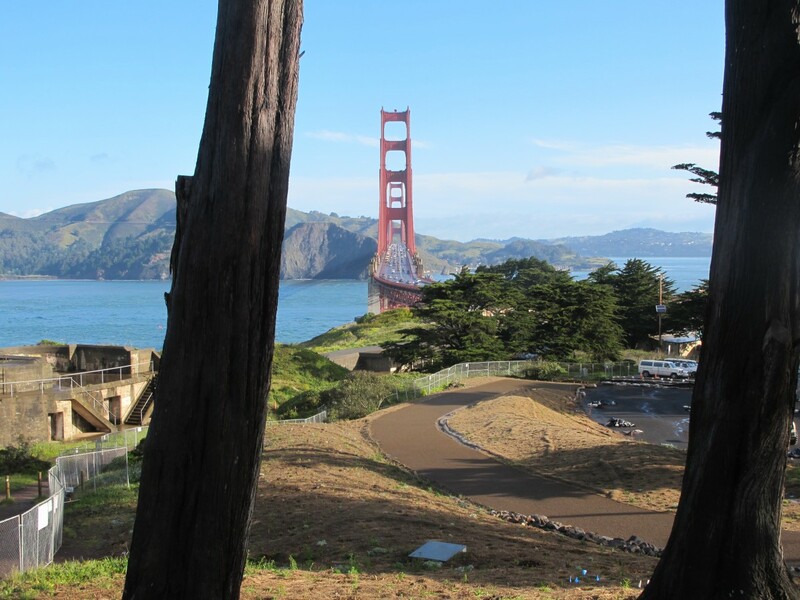 It’s easy to miss – the trailhead starts where the Golden Gate Bridge’s west span path ends. Now that I’ve let you in on another secret, take advantage of the single-track all the way down to Baker Beach, and continue on to China Beach before your jaunt up to the Lands End Trail before you think about turning around. If you’re ambitious, you can link the Presidio Coast Trail all the way down to the south end of Ocean Beach and Lake Merced. Only steps away from Sutro Baths and Ocean Beach, the Lands End trail provides a unique vantage point of the Golden Gate Bridge and Marin Headlands. Although the trail is short – roughly four miles round trip, it’s well-manicured, forgiving, and provides an assortment of rolling hills and flats. Taylor and I have linked Lands End to the Presidio Coastal Trail after starting at our apartment, and the round trip from Russian Hill is roughly 16 miles. Bonus points: there’s a free parking lot at the Sutro Baths trailhead – a true San Francisco treat! Thanks for the great list of trails!